In the middle of winter, political campaigning heats up. Unifor member Suzanne MacNeil saw a lot of “get-up-and-go” at the Canadian Labour Congress’s election-readiness conference. Avid players of the blood sport that is politics are busy preparing for the campaign leading to the next federal election, a voting day that’s still months away. Not all are platitude-spouting candidates or party strategists. But each crew—every clique in our political system—has this in common: an agenda. Many business interests, lobby groups, social justice organizations and the other levels of government want to join the game, or at least exert some sort of influence prior to the election. And let’s not forget Canada’s labour movement. This particular group is never far from the front lines of political campaigning. A case in point: on the final weekend of the first month of the new year, more than 100 union members gathered at a Dartmouth hotel to begin the task of trying to get their concerns addressed on the campaign trail. 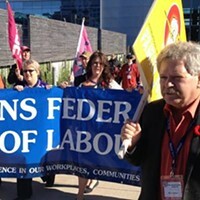 The event was one of several election-readiness sessions the Canadian Labour Congress will be hosting across the country in the first three months of 2015. MacNeil, a Halifax resident and member of Unifor, helped lead a workshop on engaging young workers, and she attended other meetings. It was apparent to her there was considerable “get-up-and-go” among the attendees. The election is to take place in October, or earlier, but some observers have said x-marking day could happen shortly after the ruling Conservatives present their budget this spring. Election timing, of course, is everything. Prime minister Stephen Harper insists we will cast ballots on the non-binding, fixed election date of October 19. However, suspended senator Mike Duffy’s criminal trial is to start April 7 and last 41 days, lawyers agreed last year. Court testimony, which could be of the bombshell variety, will not be helpful to the prime minister. Spring or fall, big labour must prepare for the big contest. The election-preparation events put on by the labour congress are essentially in-house meetings that have clear goals, says promotional material available online. They’re open to union members, at no charge, and closed to the press. Hassan Yussuff, president of the labour congress, is a former auto industry worker who’s been active on the union front for many years, both nationally and internationally. His umbrella organization represents about 3.3 million Canadian workers, and it believes the country is being steered in the wrong direction. 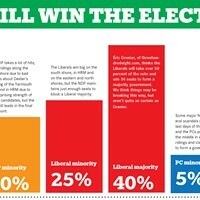 “We want to elect a new government that shares our vision for Canada,” Yussuff tells The Coast via email. 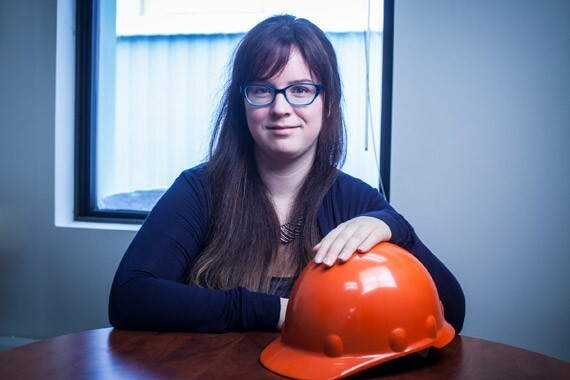 “That means talking with union members about the issues they care about and working with our members to get out the vote.” Workshops listed for the conference in Dartmouth included “building allies locally” and using social media for campaigning. He acknowledged the labour congress has “a vested interest in doing everything we can to elect a government that will advance workers rights.” But Yussuff said that doesn’t mean delegates at these election-related boot camps will be urged to vote for the union-friendly NDP. The CLC and federal New Democrats are bosom buddies that have had a strong partnership for decades. The NDP was formed in 1961 in Ottawa following the merger of its forerunner, the Co-operative Commonwealth Federation, and the labour congress. 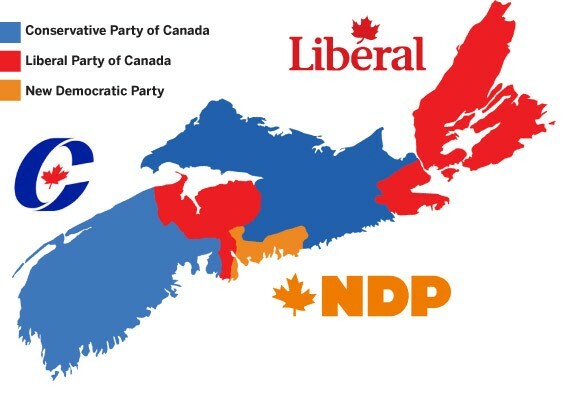 In Nova Scotia, there are 11 federal electoral constituencies. The Conservatives and Liberals each hold four districts; the New Democratic Party represents three. Last month, a Halifax polling firm released results of a November survey of 1,500 Atlantic Canadian voters that showed the federal Grits have a wide lead across the region. More than half of decided voters (55 percent) support the Liberals, about one-quarter (26 percent) back the Tories and 16 percent support the NDP. The results are “grim news” for the New Democrats, a political science professor at Cape Breton University says. They’d like delegates at their election-preparation sessions to leave such get-togethers “having learned from each other, and feeling optimistic and equipped to talk in a hopeful way about the Canada they want and [with] ...realistic ways to take on these challenges and get there,” he says. There is an old union anthem that asks: “Which side are you on?” It’s evident which side the labour movement will be backing in the next battle for Parliament Hill. What’s not so clear: Will our new government be pushing past the talking points and listening to trade unionists after the election? Why Nova Scotia’s political parties aren’t addressing the issues that matter, and what we can do about it.